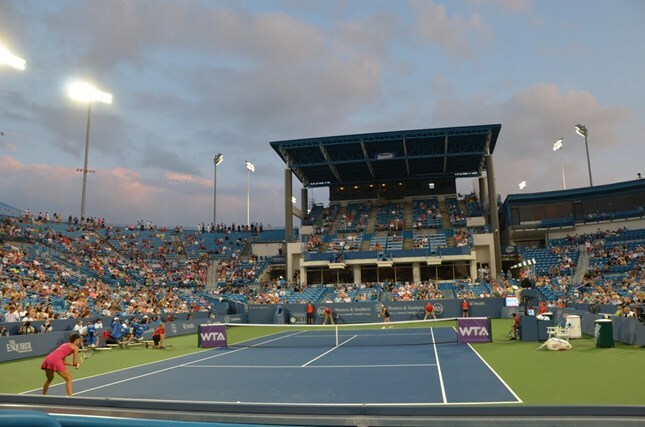 The 2015 Western & Southern Open. And whether you’re a tennis fan or not, you can't deny the pure joy & excitement that comes from lathering up in sunscreen for nine straight days. You’ll smell like the beach — even look like you went to the beach — when, in reality, you've just been in your own backyard. Okay, so we’ve established that the W&S Open is pretty awesome. Every person, of course, has his or her reasons for why, but since I didn’t have time to poll the Greater Cincinnati populous... you just get mine. Witnessing sweat drip off the top athletes in the tennis world is pretty spectacular, especially because these athletes are current and former champions. These aren't just any ol' weekend hacks from your USTA league. (& I can say that. I'm in the USTA.) These are champions. Nothing makes my heart flutter like watching a player fight back from break point down, hit an overhead smash to get back in the match, and whip out a killer fist pump. … Want to read the rest of this story? Click here to catch the complete version on Cincinnati Refined.